The key to understanding how AI and machine learning will impact mortgage loan origination, acquisition, and servicing is knowing how they work. For the sake of simplicity, the terms are often used synonymously, but, in fact, the two terms are not exactly alike. While one is a subset of the other, it is important to understand the distinctions. Generally speaking, AI is used to describe any technology capable of applying knowledge to solve complex problems and find the optimal solutions related to a specific task or a range of tasks. Machine learning, on the other hand, is more of a subset of AI. It is a system that is “trained” to complete a task on its own based on large datasets, human instruction and self-learning algorithms that can recognize patterns. Rather than a focus on decision-making, it learns from sample training sets to maximize performance and increase the accuracy of the results from what it is trained to do. For example, machine learning can be applied to the classification of loan file documents with a focus on speed and accurate identification. AI, on the other hand, might look across data sets and loan file documents to find the optimal answer for a credit decision. Both technologies have huge potential for use in the financial industry, and banks, insurers, and lenders are already spending big on each. According to PwC, in 2017 more than half of financial services firms said they had made a substantial investment in AI, while two-thirds said they planned to do so within the next three years. More recently, Fannie Mae’s Lender Sentiment Survey reported familiarity with AI and machine learning technology was 63 percent, with 27 percent of firms indicating it is currently deployed. 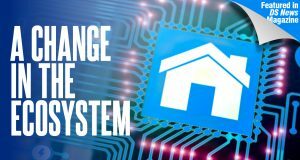 Because of the sheer volume of data involved in lending and the complexity of mortgage transactions, the mortgage industry has the opportunity to use AI and machine learning differently than other industries, with broad use cases across the mortgage process. In the exploration of these tools, there appears to be just as much focus on the borrower experience as with improving overall operational efficiency, with anomaly detection automation being the highest priority, according to Fannie Mae. When processing mortgage documents, lenders and servicers need to make decisions with a high degree of specificity, increasing the need to extract and verify more data from loan files and documentation. With hundreds of data points and thousands of documents, manual practices involving spreadsheets and off-line tasks are no longer practical or safe; in fact, they never really were to begin with. In recent years, optical character recognition (OCR) technology has been used to “grab” data from paper documents. Theoretically, this means humans no longer need to look at documents to get data off of them. However, OCR is essentially just a data picker—and an imperfect one at that. Its use in data extraction has limitations, capturing only a portion of data found in structured documents using a template approach with a heavy reliance on the data in question being in generally the same location on the document every single time. Human operators are still then required to verify and validate the data. Today, machine learning has begun to augment OCR technology, improving both the transparency and auditability of loan file details. OCR becomes the starting point, creating big blocks of data that represent the input into machine learning models. These models are “trained” to recognize patterns through textual analysis that can classify both structured and unstructured documentation. From these documents, data is more efficiently and accurately extracted and structured. This “purified data” can then power rules-based logic to evaluate loan quality, identify defects, and clear conditions. Taking the next step, more sophisticated AI applications can also consume this data to further automate decision making from origination to servicing. AI and machine learning work together to power applications that can guide borrowers through the lending process and support them after close by identifying borrowers who may need help making payments or identify when refinancing or a home equity loan may be a good idea for a borrower. When it comes to loan audits, AI and machine learning can reduce and even remove traditional manual tasks involved with “checking the checker” and greatly improve the accuracy and throughput of data and documents. By means of creating purified data, automation can perform a significant number of audit tasks, focusing auditors on exceptions and significantly increase the number of daily audits lenders are able to perform. AI and machine learning can also be applied during the default stage to help gather, monitor, and verify data to produce an accurate loan decision or the best possible loss mitigation path. They can also be used by specialized default servicers to improve loan file management and transfer loans smoothly and accurately, with less manual effort. This would place servicers with these tools at a distinct advantage—especially with first mortgage defaults starting to tick higher. AI and machine learning are both initially based on human instruction. Therefore, both are susceptible to programming flaws and human bias. Continuous statistical analysis of results can help to fine-tune these technologies. This is a critical step that can help address challenges to the industry and to software developers, which, if not addressed, could lead to fair-lending issues and greater risk. Fortunately, these new tools are highly scalable and can integrate larger data sets for more rigorous decisioning. A current example is the new Closing Disclosure, which alone contains more than 1,000 data elements. By leveraging AI and machine learning, more of this information can be used to inform decision models, providing lenders both flexibility and greater confidence. As AI and machine learning are applied more broadly to the processes and segments of the industry, new sources of data and needs for validation will increase. For example, as non-QM lending grows, the ability to leverage these technologies to ensure compliance with independent investor guidelines is paramount. AI and machine learning may also drive higher demand for new skills that can provide instruction and guidance for new applications. In addition, staffing on the loan production side can become more focused on control and review versus manual redundant tasks. This will help to reshape investments in training and drive faster output without increasing staff, leading to faster closings—and better overall consumer experience. AI and machine learning applied throughout the entire origination and servicing process can enable lenders and loan servicers to better assemble, monitor, and verify data at every stage, through closing and throughout the entire loan life cycle. Essentially, this results in data purity, which can then be used to render an accurate loan decision or loss mitigation path based on the best available data. At the end of the day, lenders and servicers are only scratching the surface of what can be done with AI and machine learning. In the next several years we will see more and more innovations being used within loan manufacturing and default servicing. And since they have the potential to greatly improve loan quality and reduce costs—challenges our industry has struggled with for the past decade—they paint a bright future indeed.